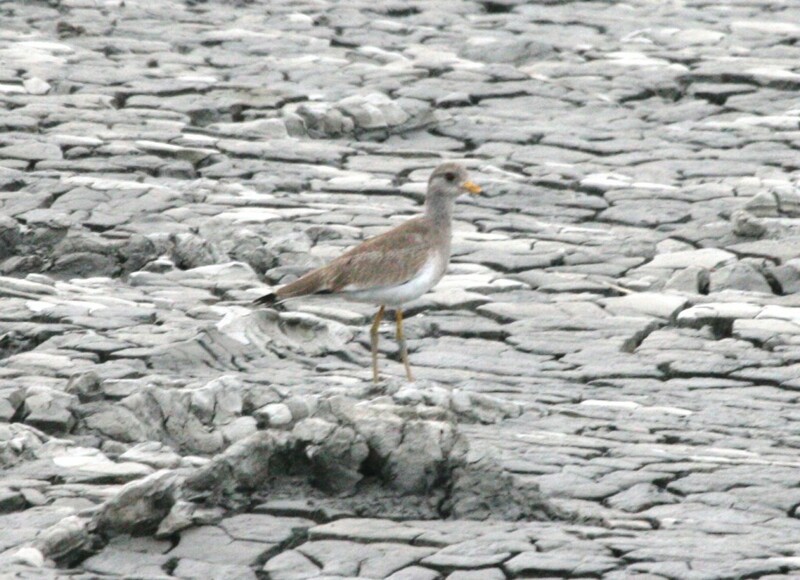 It has been an exciting couple of weeks at Suncheon Bay, with a trickle of rarely-seen migrants and seasonal turnover keeping me on my toes. With winds regularly blowing down from the Bohai Bay, that feeling that ‘anything’ could turn up helps get me out of bed in the pre-dawn murk. On October 2nd, a strange sight for the bay was about 30 Brown-eared Bulbuls moving across the mudflats – do they seasonally migrate? 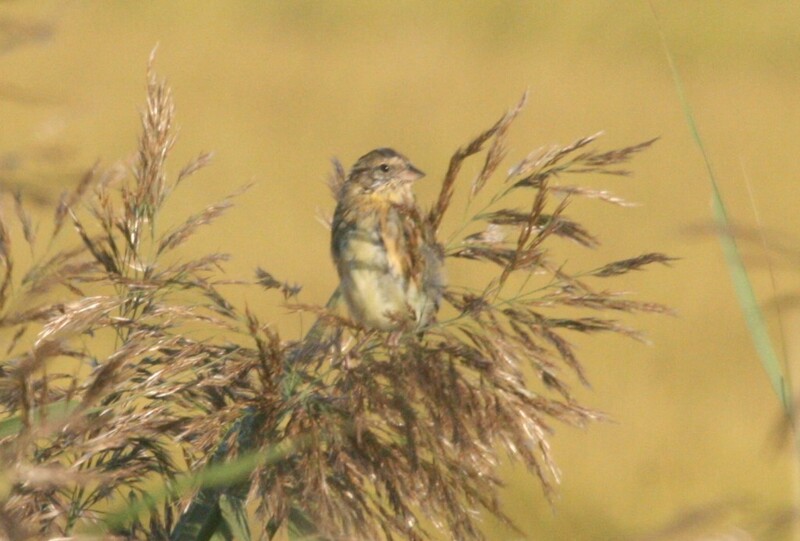 Eight Stejneger’s Stonechats and a similar count of Far Eastern Cisticolas, an Arctic Warbler still, and three Yellow-breasted Buntings were highlights. Two days later, shorebird numbers, especially curlews and godwits, seemed to be much reduced. 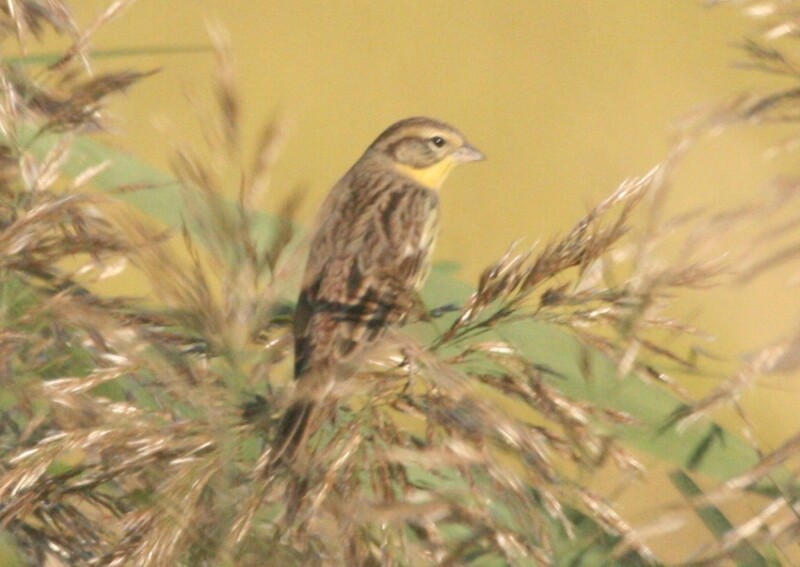 Pipits ruled several newly-harvested rice fields, with five Richard’s, two Pechora , and five Buff-Bellied Pipits seen. Two raucous Black-Browned Reed Warblers, a personal first for the site, and three Arctic Warblers were spotted in the coastal reedy scrub. 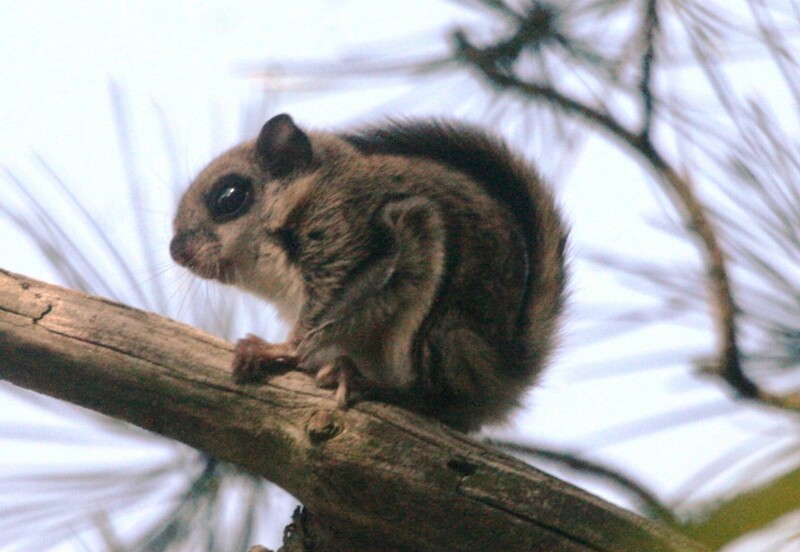 Later in the day, while hiking a mountain near the bay, I was lucky enough to have a rare encounter with a Siberian Flying Squirrel. These wary and mostly nocturnal creatures are not often seen, but apparently the females and young sometimes feed during the day. A quick search of spotty online information shows them listed as endangered in Korea (but not protected), and apparently they aren’t meant to be found in this part of the peninsula. I spotted this one by almost walking into it – it was clinging to a tree at eye level, and for a moment I couldn’t figure out what I was looking at. Slightly larger than a chipmunk, all I initially saw were the massive oil-drop eyes and a tangle of bunched-up armpit ‘wings’. It eventually scuttled silently up the tree and perched for several minutes, before…lift-off. The squirrel repositioned itself a few times, then hurled itself off the branch. It fell straight down for a moment, then spread its limbs and swooped upwards, gliding expertly to a tree perhaps 50 feet away. It looked like a rectangular grey sheet of A4 paper, its tail flattened out and acting as a rudder. A truly stunning encounter – when it flew, I momentarily forgot to breathe. I feel very fortunate to have shared a moment with this shy and gorgeous mammal. October 6th marked a return of construction crews to the bay, who toiled noisily at digging up a former rice field. A relay of four dump trucks transported endless loads of muddy soil west to a growing heap near a solar energy farm. One wonders what these three new huge craters at this sensitive site will be used for. Water reservoirs? Foundations for massive new buildings? More solar panels? Sightings for the day included the first Little Grebe of the fall, a flyby Black-faced Spoonbill, four Northern Shovelers, three Northern Pintails, perhaps a half dozen Far Eastern Skylarks overhead, three Richard’s, four Pechora, and more than ten Buff-Bellied Pipits, at least ten Stejneger’s Stonechats, four Far Eastern Cisticolas, the Black-Browed Reed Warblers still, and two Yellow-breasted and two Black-faced Buntings. In addition, my run of mammalian luck continued, with my personal first sighting of an Amur Leopard Cat. Seen from fairly far off, it sat on a trail for a while, then stalked off into a ditch. On October 9th, ducks were increasing in number and variety, with more Shovelers and Pintails seen amongst the Mallards, Eastern Spot-billed Ducks, and Eurasian Teals. Moving inland to get away from construction noise and dust proved a fortuitous move. Three Amur Falcons were soon spotted hawking insects above the rice fields, and even eating them on the wing at times, Hobby-like. Several Common Snipes and pipits were put up as a result of the low-level activity. Best of the day was a juvenile Grey-headed Lapwing, which I almost stumbled over as I came around a corner on a small trail between rice fields. 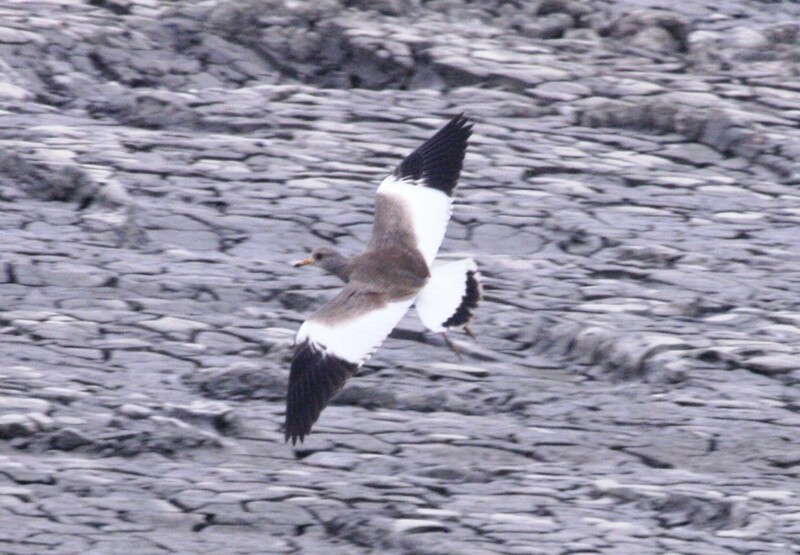 It gave spectacular flight views before dropping down into a nearby muddy pond, almost disappearing amidst the lapwing-coloured mud. It was well-watched for close to an hour as it casually paced, preened, and rested. High single-digit numbers of four pipit species (Richard’s, Pechora, Buff-bellied, and Red-throated) were seen in and over the fields, and the morning ended with several Black-faced and Chestnut-eared Buntings, and a Siberian Rubythroat that haltingly flushed across a path. The next day on nearby ‘Flying Squirrel Mountain’, ten Oriental Honey Buzzards, four Grey-faced Buzzards, and two Northern Hobby were a treat to watch as they rode the wind currents. On the way down, a Japanese Sparrowhawk was seen at a grave site, as well as the season’s first six Olive-backed Pipits. A complete lack of swallows on the 9th was counterbalanced by renewed hirundine action overhead on the 11th, with about 40 Barn Swallows, half that number of Red-rumped Swallows, and three Sand Martins feeding over the fields. 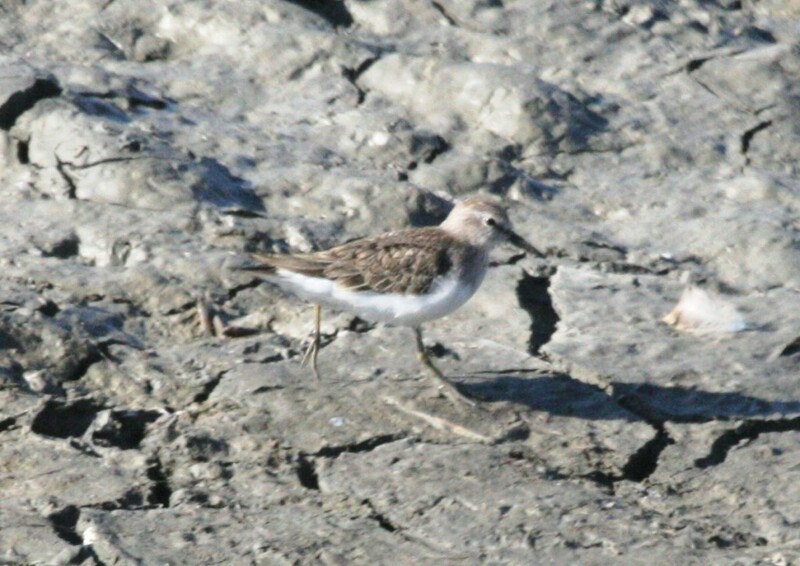 Other notable sightings included a Northern Hobby, two Amur Falcons still, and a drab Temminck’s Stint mixed in with eight slightly-larger Red-necked Stints. A single Grey-faced Buzzard flew across the bay headed southwest. A rare day off for the construction crews meant a mercifully quiet morning, and a renewal in small bird activity in the scrub around ‘the pit’. A dozen Stejneger’s Stonechat now, with four Far Eastern Cisticolas sprinkled in, three Yellow-breasted Buntings (including what seemed to be a juvenile bird), a cracking male Chestnut-eared Bunting nearby, and a dozen Black-faced Buntings scattered among the ditches. Several Far Eastern Skylarks were heard overhead, and an Arctic Warbler lurked nervously in a small patch of coastal trees, where it has been since September 24th.